A simple poem, seemingly simple, but that is exactly what makes it so difficult to translate. However, my first year high-school students (2016-2017) took pen and paper, put their heads together, and did exactly this. 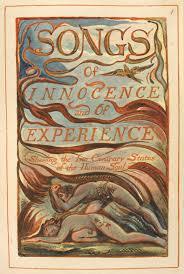 I would like to thank them for their enthusiasm, vitality, courage and trust (in me, in poetry, in Blake). They are (in order of appearance in my attendance register): Elettra, Sara, Elena A., Marisol, Floriana, Alice, Elena C., Simona, Arianna, Gea, Sveva, Margherita, Margherita F., Luisa, Ghila, Arianna, Anna, Sophia, Emma, Elena R., Agata, Angela, Giulia, Gaia, Sara T., Emma V.. A special thank you to my colleague, Silvia Lucci. M.C.